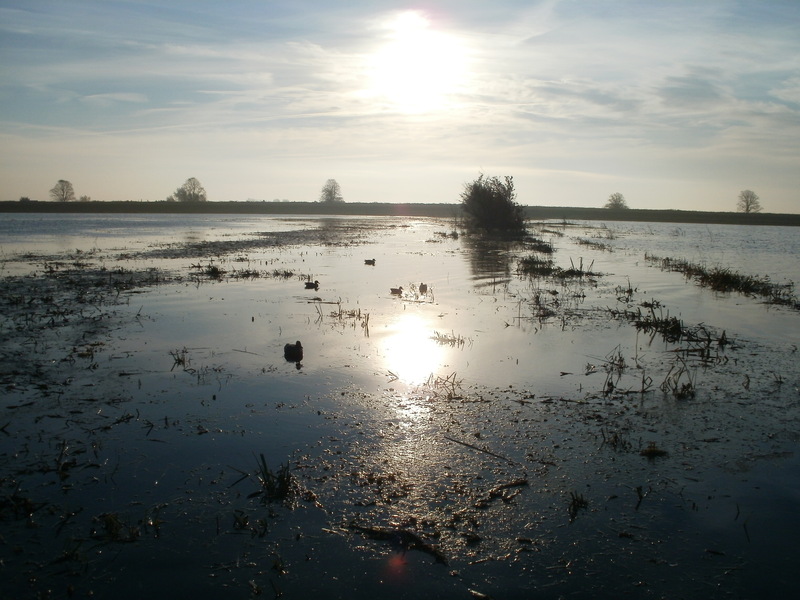 Ely & District Wildfowler’s Association (EDWA) are please to announce their recent purchase of the President’s Wash at Welney, Norfolk with a loan from WHT (Wildlife Habit Trust). Ely & District Wildfowler’s Association (EDWA) are pleased to announce their recent purchase of the President’s Wash at Welney, Norfolk with a loan from WHT (Wildlife Habit Trust). The club has shot over President’s wash (formerly known as Shoveler wash) for over thirty years. It was owned by one of the clubs founder members Mr. Denny Harrison and, left to his family after his passing. Due to the location of the property EDWA did not think they would be able to afford the purchase. However thanks to WHT and their preferential borrowing rates the 15 acres wash has been purchased for £135,000. David Wilcox EDWA Treasurer said Wildfowler’s do not realise the gem they have in WHT which allows clubs to borrow money at preferential interest rates enabling them to own their own properties. Derek Robinson EDWA Hon Sec, Press & PR Officer said. EDWA has come along way since I joined nearly 30 years ago. Then the club only owned one wash at Mepal and rented all its other shooting land. However thanks to continued support from WHT, EDWA now own most of what it shoots over, only renting a handful of property. 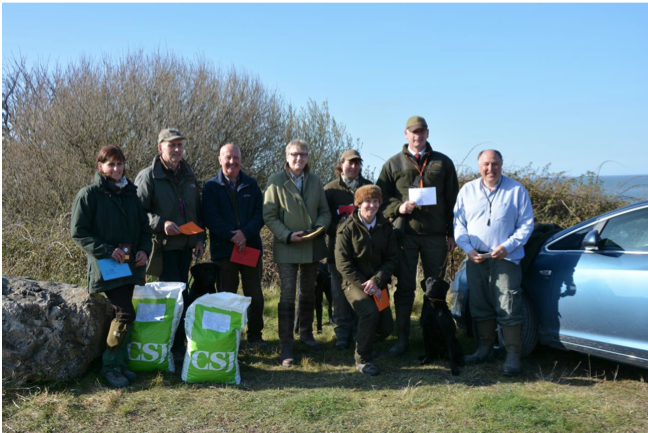 The Moray Firth Spaniel & Retriever Club held their spring test on 22nd March at Moray Estates, by kind permission of The Earl of Moray. We are extremely grateful for the use of the excellent ground here, it’s fantastic to have a bit of ground cover for the spaniels to work in. The conditions were excellent, staying cool and even dry for most of the day and the turnout was very good with some people travelling a long way to join us for the day. 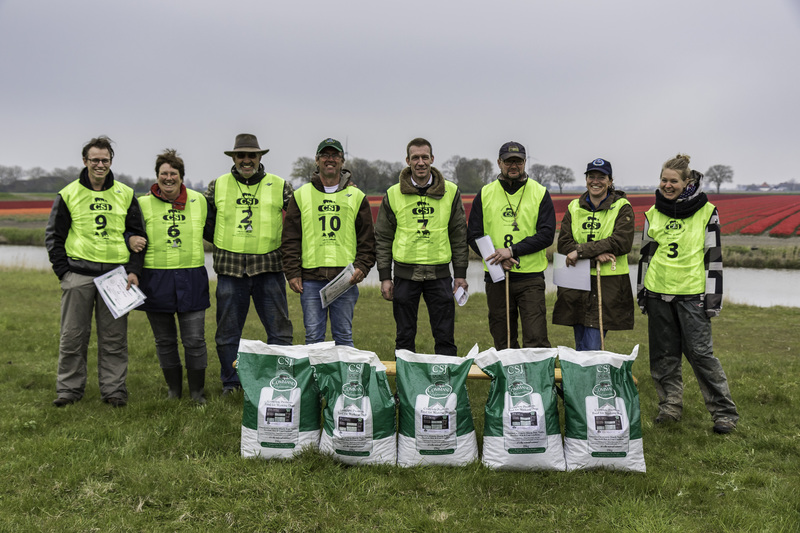 Sincere thanks go to our judges for the day, Jimmy Groat and Martyn Ryan, and to the dummy throwers as well as our sponsors Tain Pottery and CSJ Dog food. The prizes are always well received and I’ve had enquiries about CSJ’s Billy No Mates since the test. Well done to everyone in the awards and huge thanks to everyone who attended. After two weekends of preliminary qualifier trials, the ten Dutch finalists were known. These ten finalists have battled it out during the final of the Dutch qualifier held on Sunday May 3rd in Van Ewijcksluis in the North of Holland. The best two handlers will represent Holland in the European Drive Championship held during the Pre-Continental 2015. Every comb ination received 7 sheep, calmly set up by the sheep stewards. After gathering the sheep and turning the pole the run started. The 500 meter drive was out of three gates and these had to be achieved by making a fluent drive line. The drive was along the foot of a dyck. The handler had the choice to either stay at the pole or climb onto the dyck. The judge was judging from the top of the dyck which gave him a great overview. In the afternoon the best 5 combinations were running to become the number one and two. An extra drive gate was added what made it a 700 meter drive! The great distance and the wind couldn’t keep the handlers from finishing within the given time. 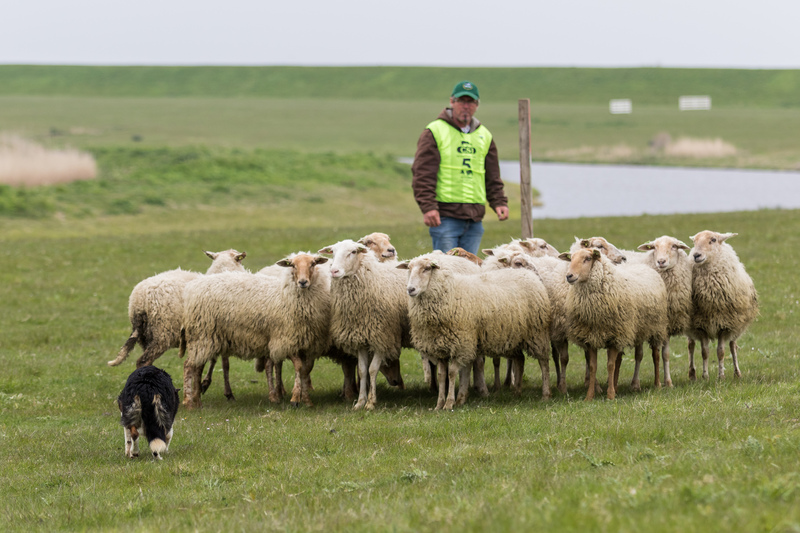 The two handlers that will represent Holland during the EDC are John Jansen with LB Mase (115/130 pnts) and Ron Snoeck with Kate (113/130 pnts). 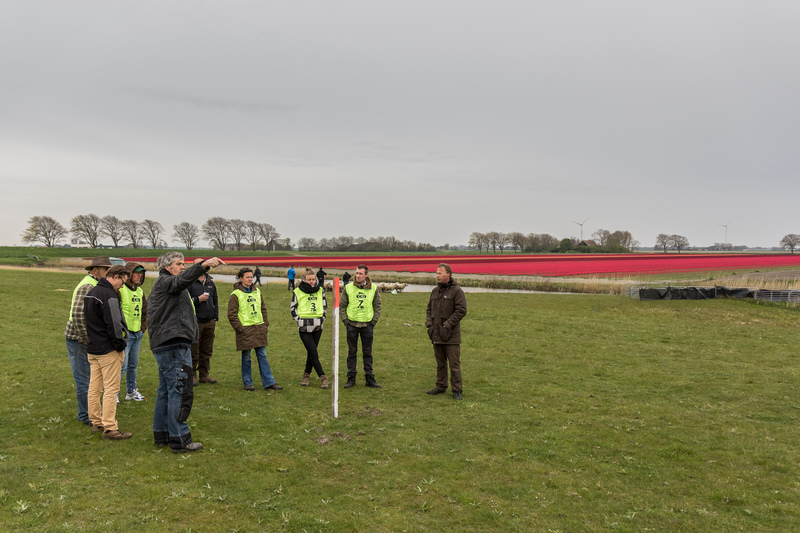 We want to thank our volunteers, the judge Thijs Gottmer, the land owners and of course the handlers who made this a sportive qualifier. 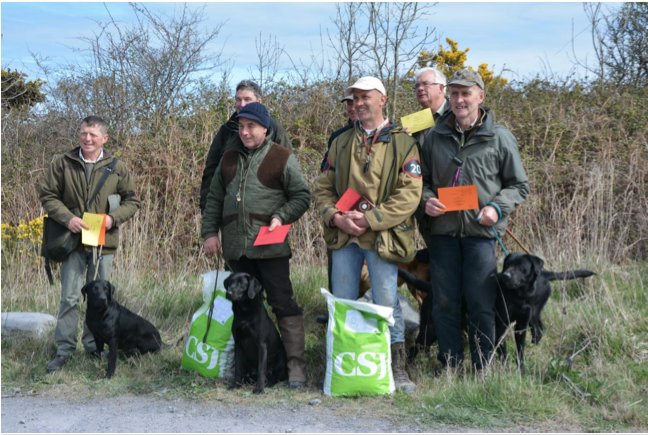 The Arfon Working Gundog Club held an AV Retriever test at Flagstaff Quarry, Penmon, Anglesey on the 19th April 2015 by kind permission of Sir Richard and Lady Williams-Bulkeley. The Judges were Mr Terry Bailey, Mrs Gaynor Bailey and Mr Ian Griffiths. The weather started sunny with cloudy periods and a cold wind all day. There was a record entry of 75 dogs with 20 puppies, 25 novice and 30 open. 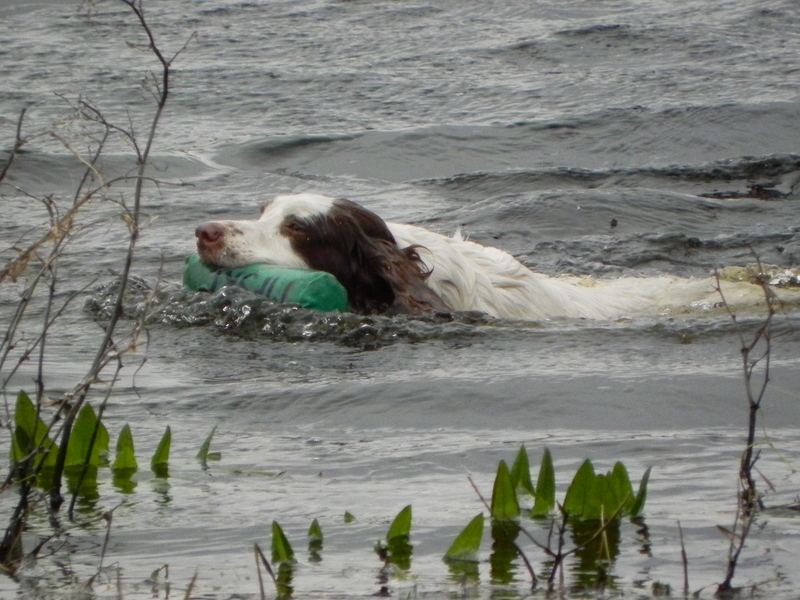 The puppy classes were held first, with an early lunch taken and followed by the Novice and then the Open classes. The tests progressed steadily with thanks to the judges and helpers. We would like to thank them and the competitors together with our hosts for a successful if tiring day. 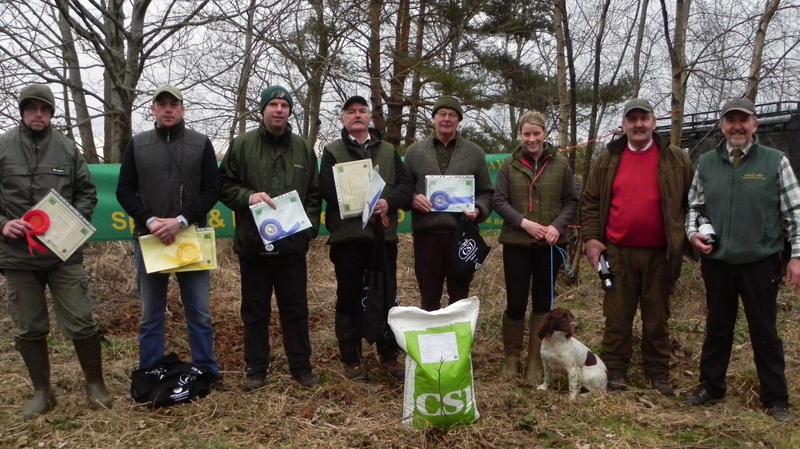 Thanks also to our sponsors CSJ Specialist Canine Feeds and Gary McCarthy of Gundog Gear for sponsoring the event.